Today was a momentous day at Lough Ree Distillery as we finalised our gin recipe. After weeks of trials and producing numerous distillates, we have settled on Batch #4! Julia, Claire and the entire production team are delighted with the end result. Over the past couple of weeks, we have distilled many unusual botanicals, some worked, and others were mildly disastrous!! Claire’s personal favourite catastrophe was her attempt at distilling carrots!! You can be reassured in the knowledge that there is zero carrot content in our final gin! When developing the recipe, we noted that it was important for our gin not only to be unique, but also to be diverse and have distinctive local character. Our final recipe compromises of four different distillates and seven botanicals in total. The first is our base gin, made up of a number of classical gin botanicals. We also distil citrus fruits, mint and our secret ingredient to be disclosed closer to our launch. The result is a fresh, bold gin with a full bodied, lingering finish. It’s a gem, if we say so ourselves! To ensure we got it right, we tried our gin with a number of different garnishes and tonics, all kindly prepared by our spirits enthusiast, Julia. She paired our gin with three different tonics and each tonic characterised a different flavour in the gin. https://www.lrd.ie/wp-content/uploads/2018/10/lrd-blog-recipe-finalised.png 1349 1012 LRD_ADM1N https://www.lrd.ie/wp-content/uploads/2017/10/lough-ree5.png LRD_ADM1N2018-08-24 10:00:182018-10-11 13:55:41Finalised Gin Recipe! 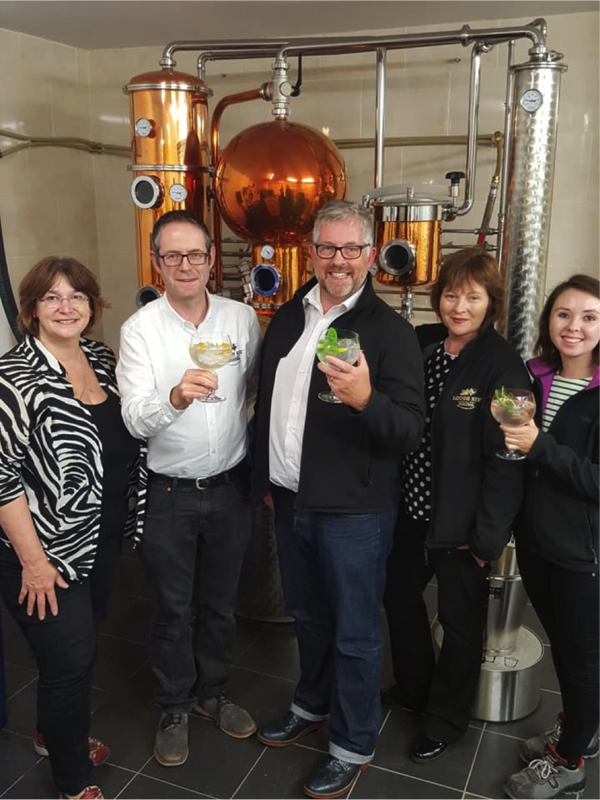 Introduction to Production at Lough Ree Distillery Sling Shot Gin, what is in a name!